The very name of the College gives you a valuable clue about the caliber of our team of experts: the Henry C. Lee College of Criminal Justice and Forensic Sciences. One of the foremost experts in his field, Dr. Lee has worked on such high- profile cases as the O.J. Simpson murder trial, the JonBenét Ramsey case, and the investigation of Scott Peterson. With Dr. Lee at the helm, it sets the bar very high for the rest of our faculty, but it’s a challenge they’re up to. In most cases, our professors are either coming from years in the field or are still actively working in it. Because of this, they have the unique ability to not only impart knowledge but frame it with its real-world application. The Henry C. Lee Institute is a new state-of-the-art center for forensic science and a go-to resource for law enforcement agencies around the globe. 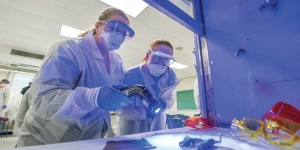 It incorporates working crime scene labs and high-tech visual displays and offers high-level, technologically based training for law enforcement officers, prosecutors, judges, teachers, and students. It also houses an extensive forensic archive. The practice of engineering has changed dramatically over the past decade and continues to evolve. The Tagliatela College of Engineering reflects this paradigm shift through undergraduate and graduate programs that break the academic mold in their innovation and breadth of scope, preparing you for the 21st-century workplace. In addition, the Robert E. Alvine Engineering Professional Effectiveness and Enrichment Program brings speakers to campus each year to impart professional insights and advice to the next generation of engineers. 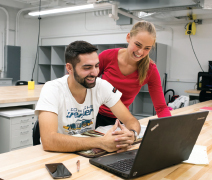 Engineering students can take advantage of a special Living/Learning Community (LLC), mentored by a full-time faculty member, during their first year. 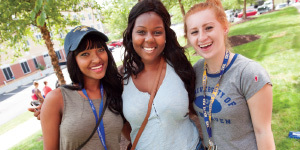 The Engineering LLC allows students to live together on one floor of a residence hall, take similar courses, meet with faculty mentors throughout the year, and participate in special group activities in the residence hall and off campus.